This lot is a 2000 Original Linen Wisden. It is in Very good condition. Not many printed. 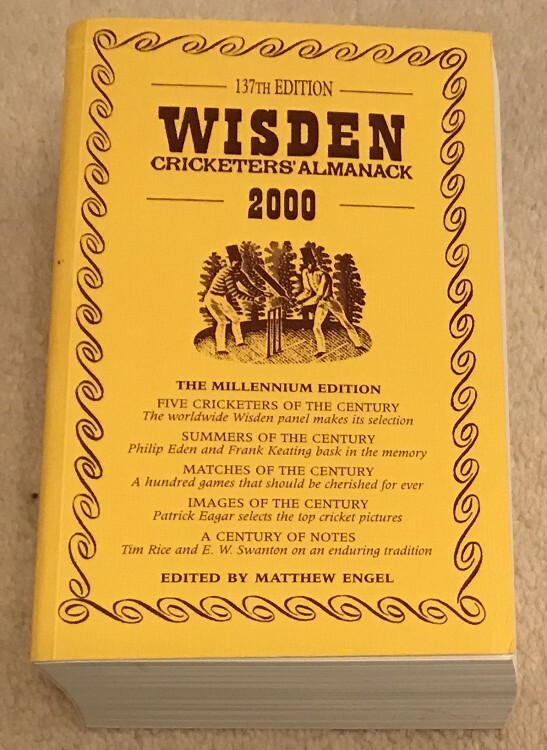 This Wisden is very nice, the only issue is a tiny wrinkle to the top of the spine cloth but still a super book.